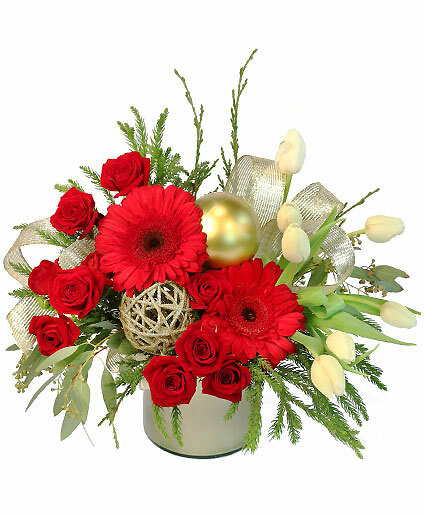 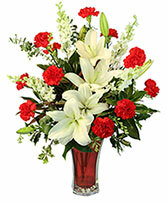 Festive Evergreen Flower Bouquet in Milton, FL - PURPLE TULIP FLORIST INC. 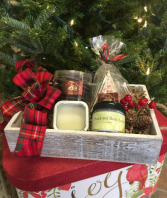 This holiday joy gift basket includes toffee chocolate cookie melts, peppermint bark, handmade lotion, and handmade lip balm. 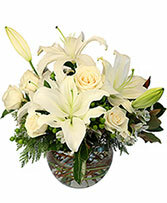 lotion and lip balm scents may vary.